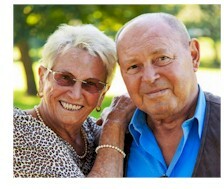 eCARE For Communities - Senior Care Telephone Reassurance Program Checks Senior Well-Being. Since 1978, Database Systems Corp. (DSC) has been providing technology and software for thousands of clients including our U.S. Military as well as law enforcement and senior community organizations throughout the country. DSC provides a calling service for community service organizations called eCARE. This online service is a calling program that contacts senior citizens at home to ensure they are OK. This service is ideally suited for small to medium communities where there are a limited number of seniors enrolled. Senior communities as well as police and sheriff's organizations and care givers can benefit from this service. Instead of managing computer systems, modems and telephone lines, administrators can focus on the enrollment and management of seniors within the community. Administration can be performed on any device that has internet access from virtually any location. Senior citizens can enroll into this program through local community organizations. Enrollment is easy, yet it provides the senior with flexible calling schedules and multiple contacts in the event of an emergency. Rather than using a dedicated phone line attached to your computer, eCARE calls are made from a bank of phone lines maintained at our call center. Considering the cost of today's phone lines, several seniors could be called with just that savings alone. No phone line(s) or monthly phone bills. No software licensing or maintenance. No computer and telecom that needs to be purchased and maintained. eCARE Is A Service that uses our computer phone systems and software to place calls to seniors living at home alone. The senior is instructed to acknowledge the call using the "Press 1" option on the phone keypad. The senior can also call our 800 number and check in using our I'M OK eCARE feature. If the call is not answered or the senior does not acknowledge the call, an alert sequence is initiated that calls or emails family or friends of the senior. If the senior has no one to check in on them, the calls and alerts can be sent to the eCARE enrollment center. You can now login and begin enrolling your seniors. For information about how to enroll members of your community, visit our eCARE Registration Info web page. Once you fund your account with a minimum of $25, eCARE will begin calling your activated enrollees according to the dates and times you establish for each senior. Contact DSC to learn more about our eCARE telephone reassurance services. 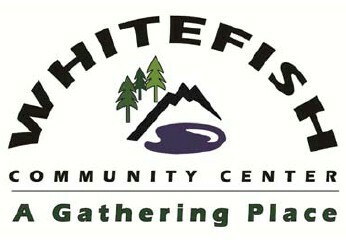 "The Whitefish Community Center is a 501(c)(3) organization dedicated to serving the senior population and the community as a whole, by providing health, educational and social enrichment activities. The Whitefish Community Center provides its senior citizens with eCARE telephone reassurance service from DSC. Seniors who are enrolled members in the Whitefish Community Center can be called daily free of charge to ensure their well-being. In the past, telephone reassurance programs were operated by having volunteers making calls. Some communities purchased computer phone systems that operated from within a community service office, with a computer system connected to a analog telephone line through a modem or telephony card. The computer is usually maintained in a busy office, and in many instances, this environment is not ideal for this technology. eCARE eliminates the need to maintain a computer with a phone line and communications equipment. All that is needed is a laptop or mobile device connected to the internet and your organization can provide the same service to your seniors. No more outage when you lose power. No more phone issues or computer management and maintenance problems. DSC maintains a remote data center that is ideal for this type of calling program. With multiple phone systems, hundreds of digital phone lines, and redundant power and telecommunications, DSC provides a 24/7 operating environment. Using this secure data and calling center, DSC provides calling programs for both private and public organizations, as well as our CARE Service that is provided to individual subscribers to our services. 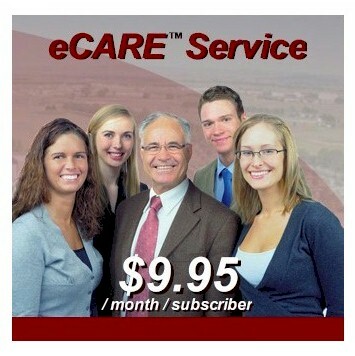 Using Our eCARE Service Is Easy And Affordable! Register your organization online with our secure signin web portal. Enroll your seniors with our easy to use online enrollment. Manage these senior profiles including calling times and vacation schedules online. View the call history for each enrolled senior. Manage contact lists using email, phone or website alerts. Signup cost is $25, which is also applied to your enrollee monthly fee. $9.95 (per month) charged for each enrollee daily call. $4.00 (per month) charged for each additional daily call. Manage your account by funding the service online. No long term contract required. This is a pay-as-you go service. If an enrollee stops service, you are no longer charged the monthly fee. What Happens If You Grow And Need Your Own System? DSC recognizes that if your enrollment grows significantly, it becomes more economical to maintain your own system. Since DSC provides a state-of-the-art CARE Phone System, we can provide you this solution with all of your enrollee information already maintained in your database. Contact us to get a quote for your own system. Our eCARE calling service includes the following features. No computers or phone lines are required! Manage your eCARE phone reassurance program online. The following is an example of how to use our eCARE telephone Reassurance service. This demonstration shows how eCARE call recipients are added to our system for calling and how an eCARE system administrator can monitor the ongoing operation of our phone reassurance system. To view this demonstration, click the graphic above. Contact DSC to learn more about our eCARE call reassurance services.